Contextualizing the results of a recently completed extensive study on the construction of collective identities and group identities, the paper traces the politicized uses of collective identities from a communication-theoretical point of view. 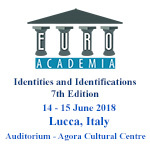 Identity construction is depicted as composed of emergent social processes with communicative, pre-communicative, and non-communicative episodes that distill their components from different environments, such as emotional, technical, institutional, discursive and spatial environments. In order to develop a fine-grained view of identity construction processes, a conceptual distinction is made between practical and objectified identities. Collective identities are defined as raw materials for the construction of group identities as well as individual identities. The construction and divulgation of these materials are traced, illustrating their political dimensions with the examples of the German Federal Constitutional Court’s demand for a third gender category in the context of identity politics, the production and uses of the Basque walking stick makila, and the narrative of Venezuelan rebel leader Óscar Pérez. Regarding the ‘transmission’ of collective identities, special attention is paid to markets of collective identities. Fictional extensions of groups are discussed as aims of politicized labor on collective identities. The paper concludes with a brief consideration of the social-theoretical implications of the outlined production model of identity construction.